March 18, 2019 at 8:57 pm PDT May contain affiliate links. Read disclosure. Happy Monday! Today is a great day to treat yourself to some new makeup! Through tonight you can score 50% Off Smashbox, Teami Blends, Murad & More from the ULTA 21 Days of Beauty sale! Or grab yourself a FREE Eyeshadow Palette from Coastal Scents, just pay $4.95 for shipping. You can also treat yourself to the Beauty Blender Micro Mini Set for only $9, normally $18. 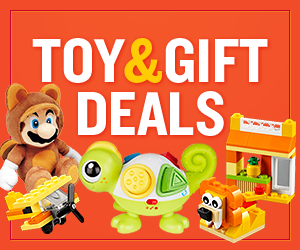 This week is also filled with a ton of easy in-store coupon deals! 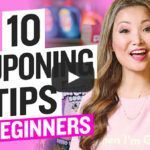 You can pick up FREE Crunchmaster Crackers + 50¢ Moneymaker at Target after a printable coupon and cash back, and grab 99¢ OxiClean Laundry Detergent from Walgreens when you print a high-value $2 off one coupon – yay! Plus, I just published my NEW Shopping Video for this week! This week, I head to Target, CVS, and Walgreens for a total of 11 FREEBIE deals! Click HERE or Click Play below to watch it. Beauty Blender Micro Mini Set ONLY $9 (Regularly $18) – 50% Off! Area Rugs Closeout Sale Up to 90% Off (Starting at ONLY $16) – So Many Styles! RUN! 75% Off Frontier Airlines One-Way Domestic Flights – From JUST $20! Folding Banquet Table JUST $29 at Target – Both In Stores and Online! Victoria’s Secret: PINK Wear Everywhere Bras ONLY $19.95 (Regularly $35) – Today Only! Nabisco Snak-Saks ONLY $1 at Target (Regularly $2.19) – Load Cartwheel Now! Juicy Couture Clothing for Girls Up to 65% Off (Starting at Only $16.99) SO CUTE! RUN! Up to 60% Off Bentgo Bento Boxes – Starting at JUST $5.99 at Zulily! NYX Professional Makeup Over 50% Off at Macy’s – Starting at ONLY $2! Canada Dry 12-Packs Starting at ONLY $1.75 at Target (Reg $5) – Just 15¢ per Can! Sterilite Large Storage Totes ONLY $5.89 at Target – Shop In-Store or Online! HP Wireless Optical Mouse ONLY $7.55 + FREE Shipping (Regularly $16) Today Only! Universal Travel Adapter Only $11.99 on Amazon (Regularly $23) – Today Only! Reversible Comforter 3-Piece Sets for $19.99 (Regularly $80) at Macy’s – ALL SIZES! Bissell Crosswave Vacuum ONLY $269 + FREE Shipping (Reg $299) – Best Price! Aveeno Body Lotion ONLY 49¢ at Target (Regularly $5.49) – That’s Over 90% Off! Heinz Ketchup ONLY $1.50 Each at Target (Regularly $3) – Just Use Your Phone! 2 FREE Maybelline ExpertWear Eyeshadow Singles at CVS + $1.02 Moneymaker! FREE Extra or Eclipse Gum at CVS – No Coupons Needed! Kellogg’s Cereal and Pop-Tarts JUST $1.47 Each (Reg $4.79) at Rite Aid – Print Now! FREE Slime Party Event at Michael’s (Sunday March 24th Only) – Don’t Miss Out!